I have read several recommendations, e.g. this one to use different font families for titles (sans-serif), the text body (serif) and graphs (sans-serif). 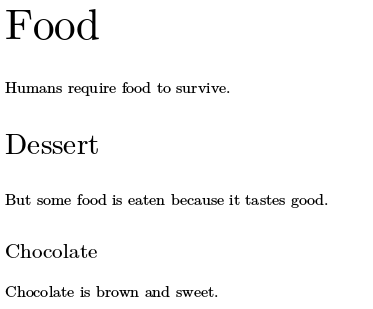 This is also what the default article document class in LaTex uses. I read that those fonts should be "complementary". So this seems to be a widely accepted practice, unless it is taken too far. But I wonder why? Afaik design should be as simple as possible, be consistent and clean, especially for formal, scientific papers. Why does the title not stand out enough by having a bigger font size or increasing the font weight? Shouldn't the text in graphs be consistent with the one in the body of text? So far I read only recommendations but no reasoning behind this decision? Have there been studies regarding this? Are there any design principles that outweigh the drive for simplicity? 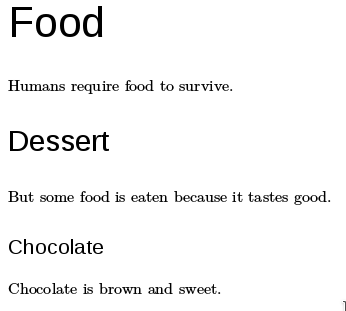 Or do complementary font types just look that much better that there is no discussion necessary? Edit: I understand that a different font face increases the contrast between the title and the body of text, but as already written: Why is increasing the font size/weight not enough? Why sacrifice coherence if it can be avoided? Many faces are designed for display use (more ornamented, work better at bigger sizes) or text (increased legibility and performance for long texts/small sizes while perhaps sacrificing uniqueness), so it makes sense to use a display face for titles and a text face for running text. There's many faces that work well for both, depending on their use. Traditionally, in publications, you wanted to use a serif typeface for text and either a sans or a display serif for titles. Very related to the point above, but more historical than practical. So as you see it's not a hard fast rule, but if you understand the principles behind the rule of thumb, you can choose other options that allow you to do good typesetting regardless of if you use the same or different fonts. Many of the orthographic rules that are usually explained in publishing design come from concepts developed in the history of the evolution of the printed book. 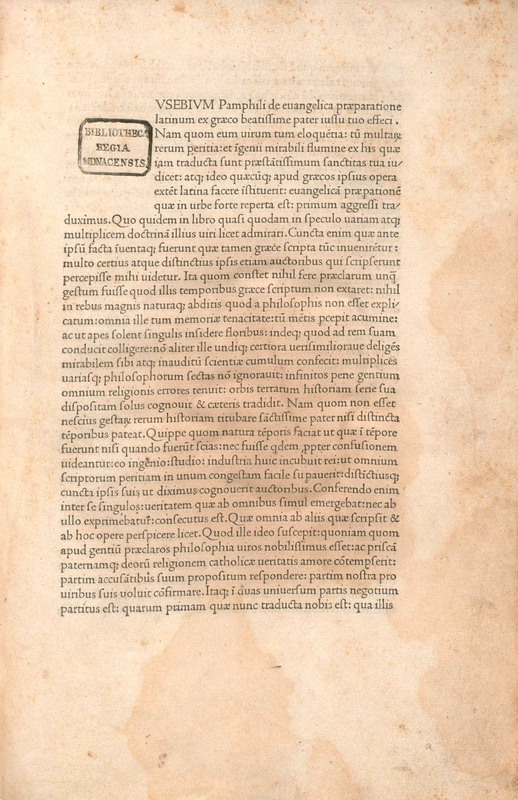 The first printed book, the 42-line Bible, made by Gutenberg, tries faithfully to reproduce the type of handwritten book to, among other things, facilitate its sale. The typography used, the Gothic Textur, slightly condensed to get more characters per line and highly illegible. The purpose of this typeface is to write as many pages as possible in a reduced time. In full expansion of Christianity, the importance of the visual quality of the page is reduced, creating whole planes of Gothic texture. In fact, the scribes used to fill entire pages of sticks to speed up the writing process and then make the small modifications according to the corresponding letter. 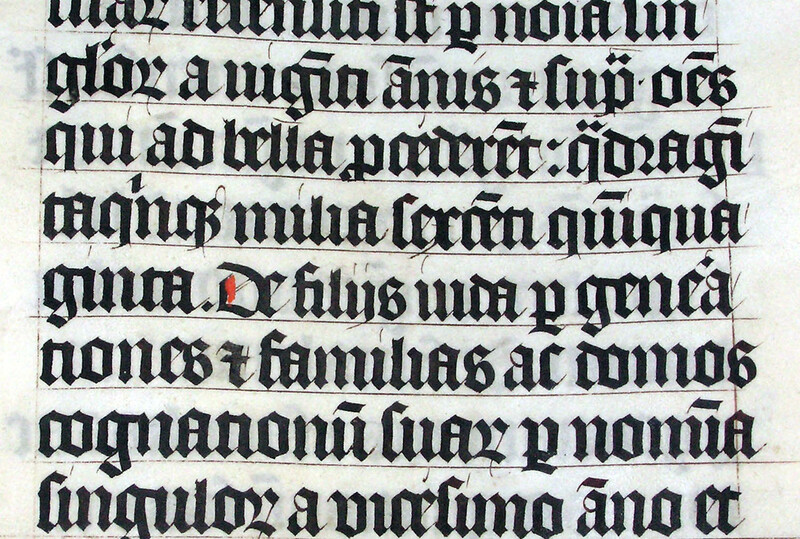 Obviously the scribes usually do not have special interest in changing typography for titles and texts, in fact it is the only one they know how to do. 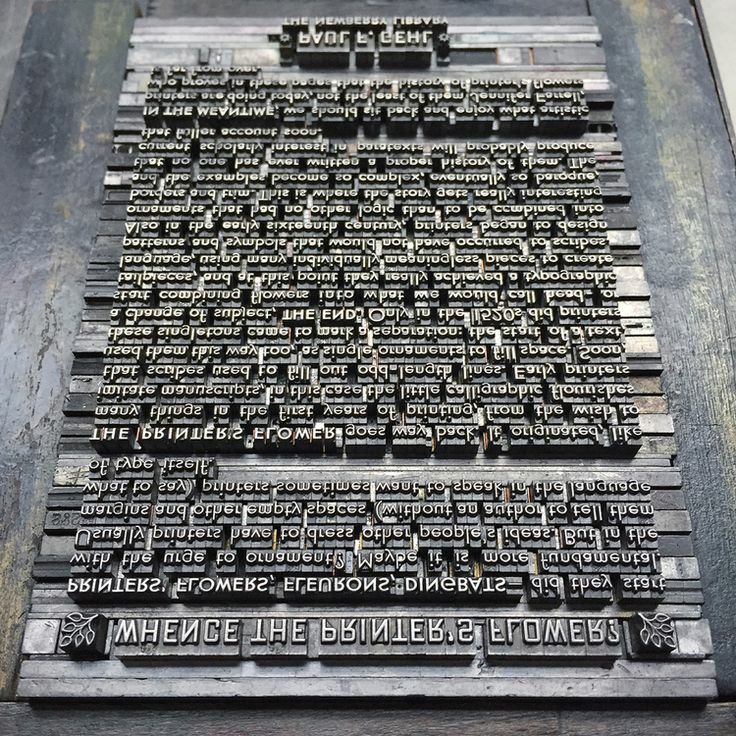 When the invention of the printing press arrived to Europe, especially in Rome, they adapted the type of printing to the writing of use in Italy, the Roman Type, discarding little by little the Gothic, considered outside of Germany an inelegant typography. 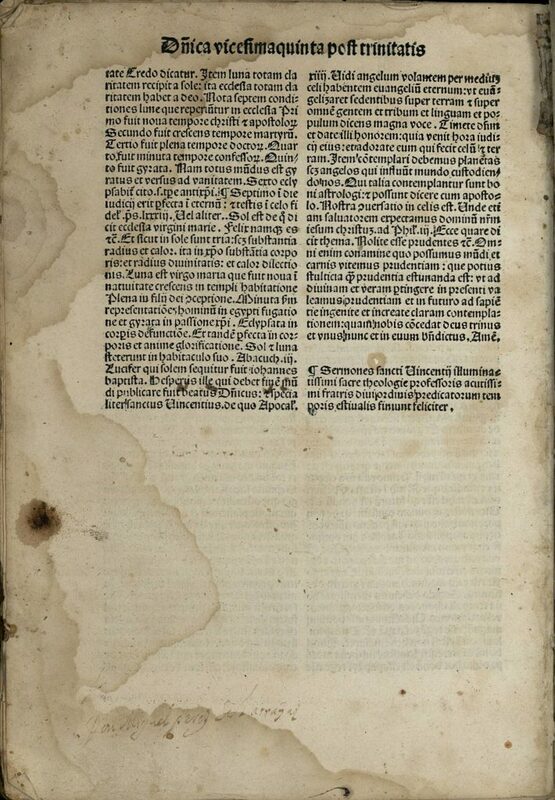 The printed pages begin to be completely in Roman typography but maintaining the same visual monotony. There are more books to be printed apart from the religious one and with more immediate importance such as medical treatises. The evolution of the book page begins to put more emphasis on moving away from that monotony to facilitate the reading. And, we can say, moving away from German scribe's pages design. The demand of a greater number of pages with the possibility of printing them causes changes in the pages composition such as the considerable reduction of margins, columns with greater width, left aligned columns instead justified. The text composition is manual, so the compositor simply accesses the furniture with the chosen typeface and places the different sizes in the corresponding areas. As the printing press advances, the consumer of books not only chooses them for their content but also for the type of printing. Among the most important companies of the 17th and 18th centuries are the printing presses and foundries of printing types. Over time, the interest to generate a better visual rhythm in the pages, always favoring the read facility and consequently the sales, causes the incorporation of new elements, not only in printing that is the final result, but in typesetting, the process of developing the page. In this way, to see a page with a headline in a typographic family, the text in another and the captions in a different one, leads to interpreting a great quality of typesetting and printing of that book. The company has some highly professional typesetters and this means quality. With the time it was defined which types are recommended for characters combination. But the purpose is always the same: generate a better visual rhythm alternating compatible typographic shapes to achieve a more pleasant reading. I think your question is based on a faulty premise: that anyone specifically recommends mixing typefaces. It can be done and it is done, and some people tell you what they used. Your example links cited do not recommend that you mix them, simply that they should be chosen carefully so they are complementary. I personally do not think your given specimen of mixed styles is complementary: there seems to be a texture or weight incompatability. In actuality, they are mixed only when the person thinks they look good or serve the purpose of their design. And there is always the chance that this purpose might actually be to look ugly. In fact the most often cited advice for typeface is that if you are using more than two, you are using too many, so simplicity is the typical admonishment. As far as for concrete reasons for increasing complexity, in your second cited question, there is a clear reason to include sans-serif: to delineate programming keywords in a way that does not require excessive punctuation, indentation or other signifiers. This actually helps simplify the writing while eliminating ambiguity. Not the answer you're looking for? Browse other questions tagged fonts text typography or ask your own question.